WASHINGTON – Voting and civil rights groups cheered a decision by the Supreme Court Monday that struck down an Arizona law requiring proof of citizenship for voting. The court’s 7-2 ruling said Arizona’s voter-approved Proposition 200, which required proof of citizenship for voter registration, was trumped by the federal “motor voter” law that only requires a potential voter to swear to their citizenship. Justice Samuel Alito, in one of two dissenting opinions, said the court’s ruling “seriously undermines” the state’s interest in preserving the integrity of elections. And Arizona Secretary of State Ken Bennett said late Monday that the state is not about to give up the fight, saying the state would pursue appeals with the Election Assistance Commission and the courts. But Proposition 200 opponents think it is too late for the state, now that the Supreme Court has ruled on the case. “We don’t think it’s going to be successful,” said Nina Perales, a lawyer for the Mexican American Legal Defense and Education Fund, of Bennett’s plan. The case, Arizona v. Inter Tribal Council of Arizona, stems from challenges to Proposition 200, which was approved by voters in 2004. Opponents argued that the additional requirements to show proof of citizenship for mail-in voter registration forms exceeded federal registration law. The federal form only asks voters to pledge that they are citizens and sign a form attesting to that. The Supreme Court agreed with a lower court that the federal form created by the National Voter Registration Act – also known as the “motor voter” law – trumps the state form for federal elections, making Arizona’s extra requirements invalid. “We and fellow plaintiffs won an eight-year battle to protect the most basic right (to vote) necessary for a government of, by and for the people,” Sam Wercinski, executive director of the Arizona Advocacy Network, said in a statement. But the court also said that Arizona can ask the federal Election Assistance Commission to include state-specific instructions on the federal form – in this case, proof of citizenship. If that request is rejected, the state could then go back to court to challenge that decision, Scalia wrote. 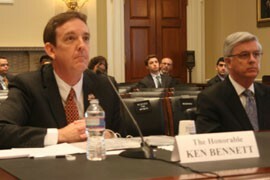 The commission deadlocked on such a request from the state in 2005, but Bennett said the state will try again. But dissenting justices Alito and Clarence Thomas noted that the EAC is a “shell,” with no sitting commissioners and none on the horizon. They both argued that the majority gave too much weight to the Elections Clause provision that lets Congress pre-empt state law on the “times, places, and manners” of federal elections. They also said that Arizona does “accept and use” the federal registration form, as required, but that does not mean the state can’t ask for additional documentation. 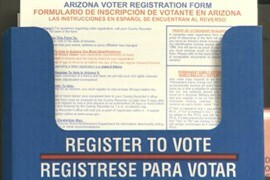 The NVRA “permits Arizona to require applicants for federal voter registration to provide proof of eligibility,” Alito wrote. Bennett said the state should be allowed that authority. 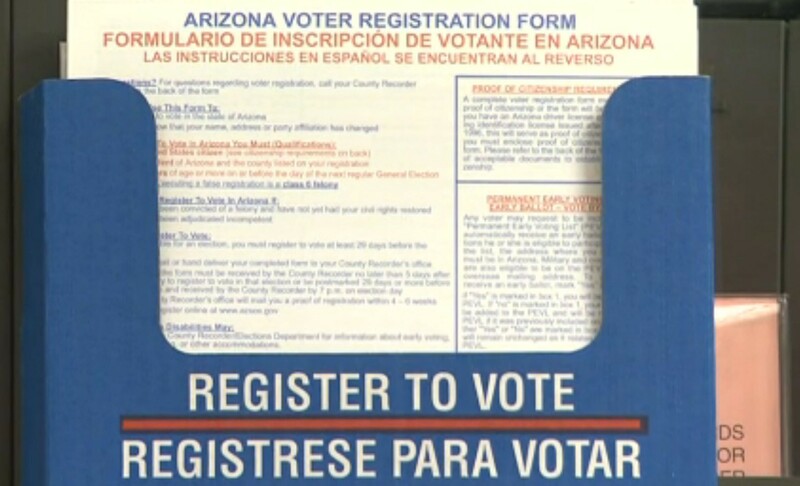 But an official with the Inter Tribal Council of Arizona said it is important to provide voting access. The Supreme Court said Arizona cannot require proof of citizenship for someone who registers to vote, since federal forms only require a statement of citizenship and they pre-empt the state law. 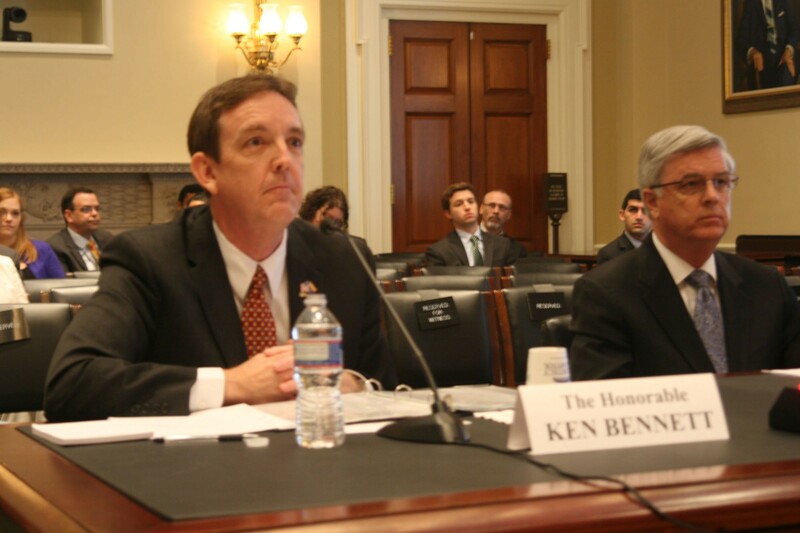 Arizona Secretary of State Ken Bennett said he was "disappointed" by the Supreme Court's ruling, but vowed to continue to work to reinstate the state's requirement that proof of citizenship accompany a voter registration form.